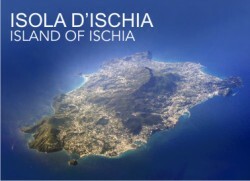 Ischia is divided into six municipalities: Ischia Barano, asamicciola Terme, Forio, Ischia, Lacco Ameno, Serrara Fontana. E ‘has two main ports, one of Ischia (once a natural lake), and that of Casamicciola Terme. Landings are the children of Forio, Lacco Ameno, San Angelo. eruption of 302 BC, creating a lake. Then with the opening of an inlet built by Ferdinand II of Bourbon in 1854 the lake has become the current port. The Municipality of Ischia is divided into two main settlements, one near the harbor called Ischia Porto, Ischia Ponte and the village, which takes its name from the bridge that connects the village with the Aragonese castle. Other localities are campaign, San Domenico, San Michele, Sant’Antuono. bordering glia together with five other communities of the island of Ischia. The 1883 earthquake almost completely destroyed. It is a popular tourist resort, both for the thermal baths, which exploit the mineral springs of the place. The City has both a marina with 300 berths for commercial port with direct sea links to ferries and hydrofoils for Naples and Pozzuoli. archaeological housed in the sanctuary of Santa Restituta, the sanctuary consists of a nineteenth-century church and a church dating back to the Mille, under which lie the remains of an early Christian basilica. For its wealth of archaeological remains is recommended to visit the Archaeological Museum “Pithecusae” at “Villa Arbusto. thermal waters, especially those Citara. The beach which was dedicated to the worship of Venus, Venus and Apollo healing. Wet for several days in the waters below the vestal Cecilia Metella regained youth and health. More exposed to invasion of other municipalities, sixteen coastal defense rose to the most prominent is called the “Tower” overlooking the whole town. Forio for its beautiful beaches, the green which is rich, is one of the most representative of the Island of Ischia. An environment where natural beauty and history, tourism and poetry manage to get along. south of the massive volcano Epomeo. From the “Belvedere”, which opens onto one of the widest views of the island, you can admire in the foreground and the charming fishing village on the promontory of Sant’Angelo with its bays is the gem of the Commune marine envied around the world . about 9000 inhabitants (Baranes), and ‘natural positions particolrmente happy, about 200 feet above the sea, framed by green hills, which gives Barano the privilege of a mild and dry climate all year round. d’Ischia, also famous for its thermal water that streams down from the sand and fumaroles that raise their vapors from the burning sand. 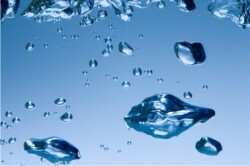 Mostly known for its properties of mineral waters sources and Nitrodi Olmitello, their therapeutic effects are world renown. The Island of Ischia is not only a center of international tourism, but also pleasant thermal resorts, the most important in Italy. The visitor noticed, well, it can combine with a rest period also the opportunity for charitable care. Spa treatments are of ancient origin and some modes of application, even if improved, remained unchanged for millennia. Spa treatments, however, are real medical treatment, which, when applied with skill and competence in the many spas on the island, are made after careful medical supervision and budget. Due to its complex volcanic origin, the island of Ischia has a hydro-thermal assets between the richest and most interesting in the world: well-69 groups (fields) and 29 hydrothermal fumarole, conferring 103 “emergency spring, scattered in about 42kmq of the isle. This wealth has made famous since ancient times Ischia: Strabo and Pliny are often mentioned in their writings to the therapeutic power of water on the island. The reputation of the spa has undergone ups and downs over the centuries: known at the time of Ancient Greece, they were rediscovered by the Roman imperial era, after centuries of neglect, were studied by medical Jasolino at the end of ’600. Since then the popularity of the thermal waters of the island has grown, supported by more rigorous research conducted by scholars in the time of unquestionable professionalism. Ischia is now recognized as one of the best spots of the European market of spas Today there are countless hotels, comfortable and modern equipment, offering the opportunity to practice most of the spa treatment in a local context of the exception, among pine forests, beaches, churches, sights, restaurants and “temples” of youthful fun and fashionable. Ischia is the largest island in the Gulf of Naples, has a circumference of about 39 km, an area of about 47 sq. km., And a population that is around 60,000. There are three commercial ports (Ischia Porto, Forio, Casamicciola) and two ports of call for pleasure boats (Lacco Ameno and S. Angelo). The island is divided into six municipalities: Ischia, Casamicciola Terme, Lacco Ameno, Forio, Serrara Fontana, Barano, all located on the coast with the mountain behind Epomeo well with the highest peak 787 meters. s.l.m. The island of Ischia, according to the latest theories is of volcanic origin, from where it arose as a volcanism personification, the greek myth of Typhon, the rebellious giant who was condemned by Jupiter under the island of Pithecusae (Pithekoussai in greek), today’s Ischia, erupting flames and hot water and causing earthquakes when it moves. In Ischia, as in all areas of recent volcanic activity, volcanism has had a significant impact on human settlements. To the knowledge of the prehistoric population of the island is too flawed to be able to detect more fully the extent to which the inhabitants have been affected by volcanic activity. Are sporadic and isolated material fact Neolithic Age, however, are the most important archaeological finds were made in Cilento near pottery fragments were indeed found in weights for fishing nets pottery and stone tools, in particular knife blades and fragments remaining processing of flint and obsidian. Later, during the first half of the eighth century. BC, after the extrusion of a near eruption, the village from the Bronze to Early Iron Age was located on the hill of Castiglione between Porto d’Ischia and Casamicciola, is apparently abandoned.